Cutter trimmer Trim Ease (Or, Trim-EZE) Sticks, keeps your cutter or trimmer cutting with ease! Lubricates and conditions the blades to extend the life of your cutting blade. 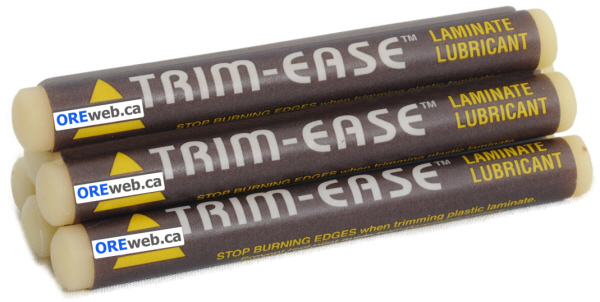 Trim-Ease - Lubricating Sticks - 6 per pack. Use Trim-Ease with all paper trimmers and cutters for smoother, cleaner cuts. Lubricates the trimmer blade, helping to reduce friction and prolong blade life. Can be used on all blade style cutters and trimmers. Sold in a pack of 6 sticks.